• Developed for babies with normal to dry skin. 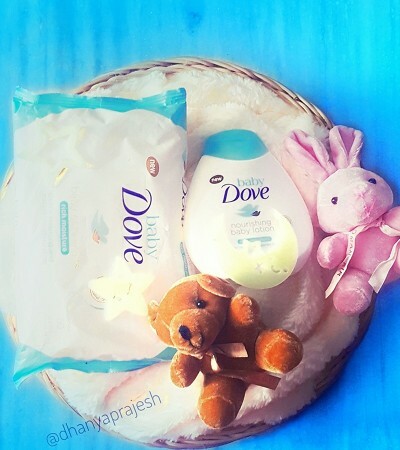 Unlike other baby bars, the Rich Moisture Baby Bar contains Dove’s ¼ moisturising cream and DEFI technology, resulting in a unique blend of cleansers and moisturisers that leave delicate baby skin soft, nourished, and delicately scented. •	Contains stearic and palmitic acid to replenish the essential nutrients lost during cleansing and help preserve skin barrier function, meaning more moisture and nutrients stay in. • With a mild and caring fragrance developed specifically for delicate baby skin, it is hypoallergenic. Plus, its pH neutral formula respects skin’s natural pH balance.